First, an introduction: My name is Mr. Jason and I am the Director of Special Projects for Freeze Dry Guy. I would be happy to answer the questions you have about MRE’s. My experience with MRE’s and survival in general comes from over 20 years of experience as a Soldier, Government Contractor, Police Officer and Disaster Management Specialist. My video resume is available on the Freeze Dry Guy web site. Question # 1. What is the REAL shelf life for MREs: For example, if the box indicates Expiration date= 6/1/2012, how much longer will it be good for? The box is kept indoors, in an air conditioned room, around 75 degrees. Answer: If you have a box of Military grade MRE’s and the expiration date is 6/1/2012 then I would start to rotate them out. The expiration date is based on the best care condition, kept in a cool dry place out of the sun. However, I would not throw them out if you have room to store them. You can always use the old MRE’s packets as barter for other things like fuel or medical supplies in a pinch. Question # 2. What are the ideal conditions for MRE storage, for maximum freshness? Answer: The ideal condition would always be cool dry place out of the elements. This will give you maximum storage life. Question # 3. I opened a package of MRE, the label indicated “Penne Pasta with Veg Sausage” When I opened it, the product was actually “Veg Patty in BBQ sauce.” Is this mislabeling a common occurrence with MREs or was this just a fluke? The mislabeling is a not common but it does occur more often with the civilian aftermarket version of the MRE than with the Military issued. Most aftermarket MRE’s are made out of the country so the quality control is not at the same level as the “made in the USA” stuff. Question # 4. The same package also included a packet of Clam Chowder – can you place 2 food packets in one Heater only one can be heated? You can heat more than one item at a time, if they can both fit in the heating bag, but they might not be a hot as if you only heated only one item. Question # 5. What would be your recommendation for the most efficient food storage for apartment dwellers who usually lack space? My recommendation for long term storage in a limited space would be freeze dried food. Freeze dried food has the longest shelf life and because there is no water in the package, it is the lightest weight and takes up the least amount of space. Question # 6. What would recommend for “bug out bag” food? Bug out food….I would recommend simple, lightweight foods that require little or no cooking or prep time. MRE’s are excellent for that. Just keep in mind their limited shelf life and rotate your food accordingly. Freeze Dried food is also very handy, light weight, portable, and has a much longer shelf life, but you will need water to rehydrate it. As a rule you should, at least once a year, go through your bug out bag and replace batteries, update med’s, check equipment, and just make sure everything is still good to go. Question # 7. I find that canned foods can be bought with coupons, but that usually does not apply to freeze dried or dehydrated foods. 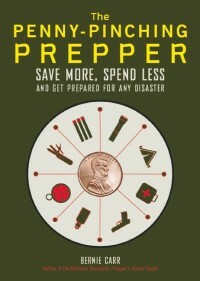 Would appreciate any advice regarding how to get the best deals in food storage for apartment preppers. The best way to get freeze dried food is to shop around and find a company that can deliver the highest quality food made in America, at the lowest price and offer free delivery anywhere in the continental United States. A company known for its outstanding customer service, and is committed to excellence, a company that offers monthly money saving specials on their products, and has established buying clubs for their customers to help offset the cost of storing food.